Hit a handful of screenings, muddle through the slush, cameo at an after-party, spot a Gyllenhaal, shiver while waiting for an Uber, get a few hours of sleep, rinse and repeat. For years, this was the typical day in the life of a journalist working the magical good times of the Sundance Film Festival. But in 2018, the sobering, life-changing effects of the MeToo and TimesUp movements reached all the way to the top of the snow-capped Utah mountains. Powerful and outspoken women such as Jane Fonda, Issa Rae, Gloria Allred, Laura Dern and Octavia Spencer all spoke about the cause in various luncheons, Q&As and the women’s rally. The biggest movie star of all was pioneering Supreme Court Justice Ruth Bader Ginsburg, who made a rare public appearance to support her excellent documentary, RBG. The rest of the films on my list were the usual eclectic mix of probing issue-oriented dramas and heart-opening wonders. (I saw 15 in all, and wish I had time for favorites such as Search, Nancy, The Kindergarten Teacher, Burden and Puzzle. Read about the big catches now; catch them for yourself before the 2019 Oscars. The title says it all, right? Prepare to relive all the awkwardness and insecurities that come with being mired in YA land in this beautifully poignant gem. Kayla (future star Elsie Fisher) is an introvert at heart. But just because she was voted Most Quiet in her class doesn’t mean she has nothing to say. Though writer-director Bo Burnham intended to make this slice-of-life film about teendom in the Snapchat age, I’m convinced he somehow found my 1989 middle school diary. Cynical adult journalists (ahem) bawled during the press screening. Ethan Hawke was born to play a washed-up 90s alt rocker. His Tucker Crowe character is the obsession of an aging hipster (Chris O’Dowd) — and the unlikely soulmate of the schlub’s long-suffering, longtime girlfriend (Rose Byrne, obviously pregnant during filming). The sparkling and witty romantic comedy trifle is based on one of my favorite Nick Hornby novels. (And, yes, Hawke does his own singing. Shades of Reality Bites!). 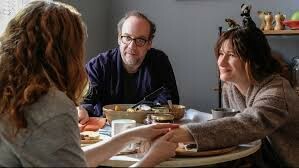 In New York City, a married couple (the great Paul Giamatti and Katherine Hahn) are desperate to have a baby or die trying. After yet another failed in-vitro attempt, they ask their precocious college-grad step-niece (Kayli Carter) to be the egg donor. Director Tamara Jenkins’ lived-in and often-hilarious dramedy is a richly rewarding experience with a whopper of a closing shot. The Opening Night Selection is a future Netflix movie; you have no reason to chill and watch. A clean-cut 17-year-old NYC film student (Kelvin Harrison Jr.) is arrested for a murder he did not commit. 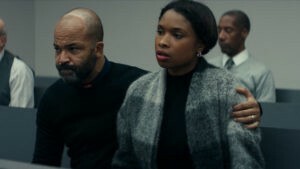 Languishing in jail and knowing full well that he’s seen as just another black criminal, he and his parents (Jennifer Hudson, Jeffrey Wright) desperately try to prove his innocence. The powerful drama, co-produced and financed by John Legend, earned a rare standing ovation at its premiere. You’ve never heard a story like this. Ever. Ever. 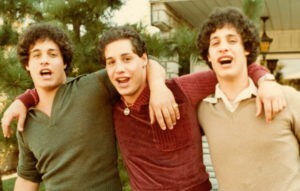 This truly unbelievable documentary focuses on a set of triplet boys who were separated at birth and somehow found each other in New York at age 19. But their much-ballyhooed reunion in 1980 sets off a chain of events that leads to a highly unsettling and gut-wrenching discovery. The film won the U.S. documentary Special Jury Award for Storytelling at the festival. I’m forever haunted. 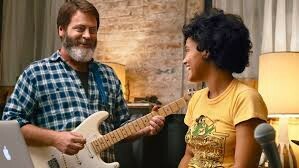 A Brooklyn record shop owner (Nick Offerman) convinces his UCLA-bound daughter (Kiersey Clemons) to form a band with him. (Naturally, the group is called We’re Not a Band). They craft lovely original music together, which helps strengthens their bond before she sets off for college. A Closing Night Selection, it’s the material sweet and cool indie movies are made of. Judging from the audience reaction, a well-known rocker makes an drop-in appearance — but this pop music dork failed to recognize him. 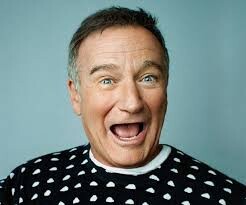 Williams loved to entertain his friends and family. You already know the comic was a nimble force of nature. This fascinating documentary explores Williams’ fun-loving and often-tormented private side. David Letterman, Whoopi Goldberg, Billy Crystal and Steve Martin are just some of the loved ones that weigh in. It’s a cliché, but here goes: The movie will make you laugh and cry. But mostly laugh. Jake Gyllenhaal and Carey Mulligan are a married couple living peacefully in Montana in 1960. That is, until he abruptly decides to leave his wife and 14-year-old son (Ed Oxenbould) to help fight the wildfires in the mountains. While he’s away, the emotional fireworks go off at home. The understated tale, the directorial debut of actor Paul Dano (Prisoners, Love & Mercy), is aided by terrific performances. This is a wildly entertaining true story about bored college students that, gasp, are desperate to get their hands on some books. 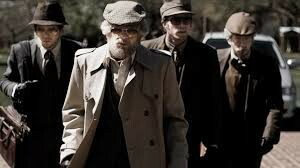 In 2004, four friends — played by an ultra-appealing Evan Peters, Barry Keoghan, Blake Jenner and newcomer Jared Abrahamson — decide to pull off a heist at a university library in Kentucky. Alas, they’re not nearly as smooth as the Ocean’s Eleven crew. This was either a movie or a crazy fever dream: A lowly telemarketer (Get Out’s Lakeith Stanfield) in Oakland, California, learns a secret trick to rise through the ranks of his sinister company, much to the disgust of his activist girlfriend (Tessa Thompson). That doesn’t even begin to describe the satire’s audacious hijinks. Armie Hammer doing a line of cocaine while wearing a sarong, anyone?